This distinct Dooney Bourke organizer keeps your treasured items in line! 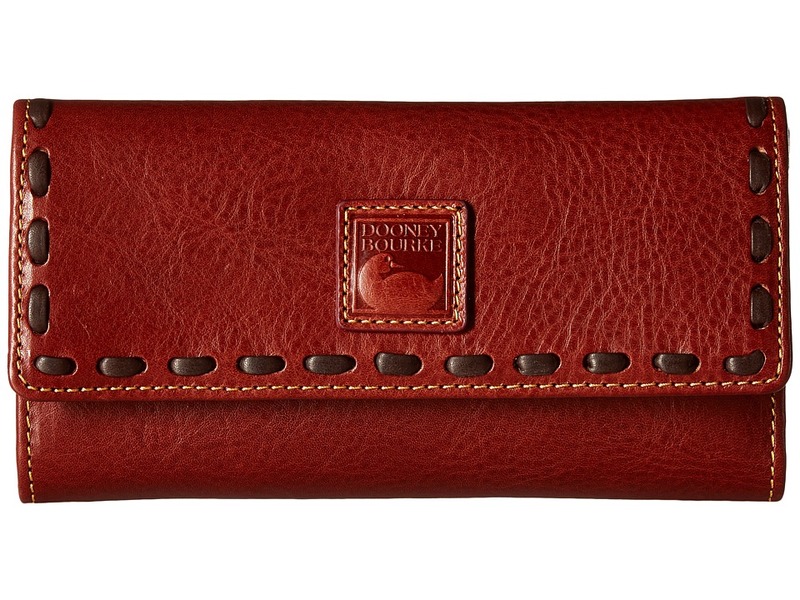 Clutch-style wallet made of luxurious leather. Exterior zip pocket at the back. Thick whip-stitch detail. Snap-flap closure. Lined interior features a full-length currency compartment, credit card slots, checkbook slot and an ID window with thumb glide. Imported. Measurements: Bottom Width: 7 1 2 in Depth: 1 in Height: 4 1 4 in Weight: 8 oz Please note, the hardware color and interior lining may differ from the color shown in the photo.